As a small business owner, you may constantly be looking for new ways to market your products/ services to reach potential customers. Using social media for business is a great way to engage with existing customers and attract new ones. Small business owners can have a lot on their plate, and may find social media time- consuming. Having said that, you cannot lose the opportunity to reach and engage with your potential customers. 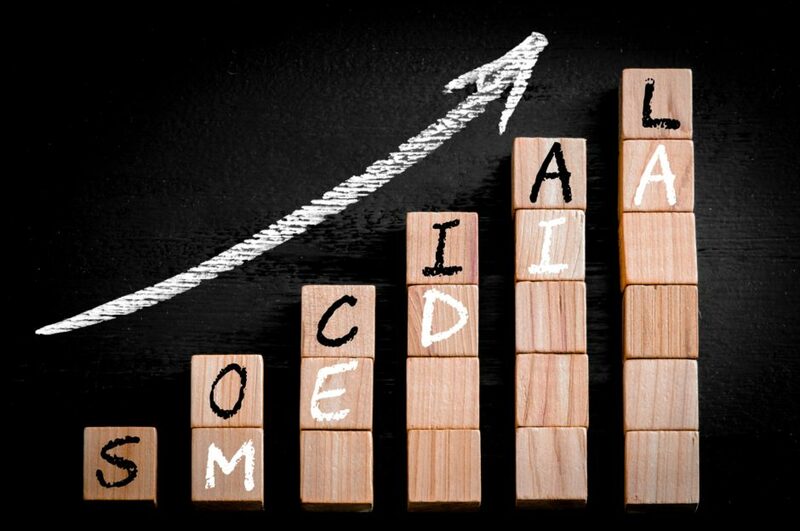 Here are the reasons why small businesses need to get onto the social media. Social media plays a big in the buying process. Small businesses have an opportunity to grab the attention of their target customers by engaging them with relevant content. Your customers visit social platforms every day, and the content they see pushes them in their purchase decision. You can leverage this trend by being active on these platforms and connecting with them regularly. Another reason to use social media is to let people know about your business. This provides visibility, and is one of the pillars on which every business, large or small, can connect to larger audience. Let’s say you’re selling toys or gift items online and a customer stumbles upon your products several times on Facebook. This will register your product in their mind. So, the next time they are up for a purchase they can look up for your brand easily. The higher your brand’s recall, the greater the chances of a sale. Also, make sure to set the style and tone for your business and maintain it throughout your posts. People like consistency! Boring people make boring conversation. And nobody wants that! You need to find different ways of conversing with your customers by giving them exciting content. Stick to your research! Find their problems and offer solutions. Because this is one of the best ways of creating and maintaining relationships with your customers. Some of these solutions could include exclusive offers, contests and basic customer service when needed. Get innovative and keep experimenting to come up with interesting ideas. The kind of business you run and the platform you engage your customers on, are two aspects that always go hand in hand. For example, Facebook may be the best choice for B2C. But if you’re into the B2B business, then LinkedIn could be a gold mine. Once you understand your customer base, you can start by including a call to action link in your posts, develop a landing page for campaigns, run ads or contests, etc. The business is up and running, you have a loyal customer base. Well done! But depending solely on your existing customers can be a huge risk. Through social media, you can reach new prospects through existing customers. How? Every customer you’re connected to on social media has their own connections. You can reach these new connections by running ads, contests (where your followers must to tag others) and such other engaging activities. You can also join communities or groups on channels that are relevant to your industry. This will increase the number of people talking about your products and boost your sales over time. What does it take to start promoting your products on social media? You can start right away by creating social profiles and posting photos of your products with relevant, interesting descriptions. As you grow bigger, so should your budget. This way, you’ll be sure that you are ready to meet higher goals and reach more customers. But compared to all other modes of marketing, social media will save you a lot of expenses and give good results. Lately, a myth has been floating around, that says, social media is risky for small businesses. The myth wants you to believe you might get negative reviews about your business. However, you should think of these reviews as opportunities to improve your products. After all, one wouldn’t be an entrepreneur if they had to avoid risky situations! And as this world continues to progress, social media will progress too. After all, humans love socialising. Wouldn’t it be better if your business socialised with them?